The mailing deadline for round 8 of The Pillow Talk Swap is today, so naturally I just finished my pillow right before midnight last night. 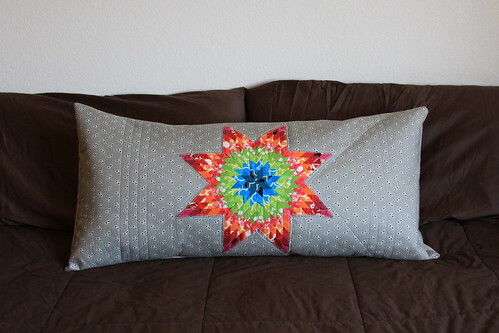 I'm pretty sure this is my favorite pillow I've made yet. Despite being so under the gun to finish, I did actually start a couple of weeks ago. This star pattern is called the Lonestar, and I made it by hand-sewing 200 diamonds together using the English Paper Piecing method. 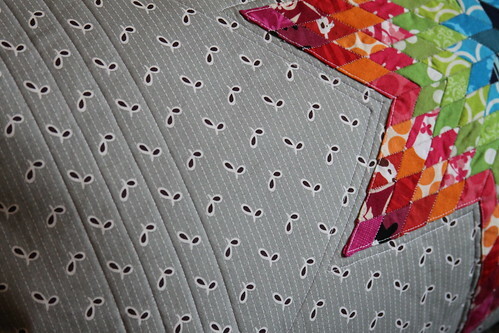 I then machine appliqued the star to the background, and did a little straight line quilting for interest. I love the Flea Market Fancy grey seeds that I used for the background - I'm already starting to fret I didn't buy enough of the reprint and this is the first I've used of it. 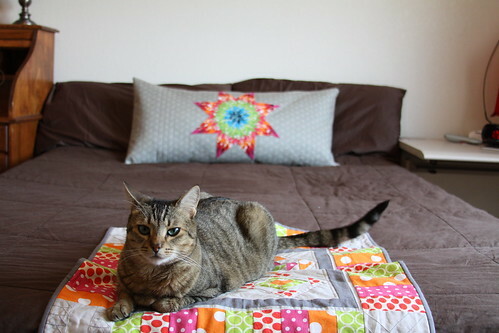 I sure hope my partner likes her pillows big - I put one of our king-size pillows inside for these pictures! P.S. Linking up to Amy's One Thing, One Week Challenge. 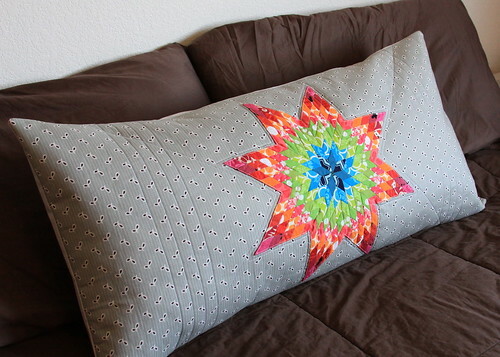 Amazing pillow especially since you hand pieced the lone star. What a beautiful pillow! Your love shines through your pieces. Way to go! Great pillow! 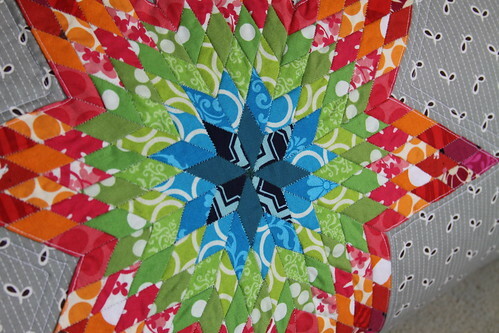 kudos to you for all that hand piecing. This is so stunning set against the grey! This is fabulous. I'm impressed with all of those tiny diamonds! Beautiful work! Love the pillow! The lone star looks great! پیشنهاد می کنیم از سایت آسیابوک به راحتی اقدام به خرید کتاب مورد نظرتان کنید و سپس با ارسال رایگان دریافت نمایدد. پیشنهاد می کنیم دیدن این فیلم را از دست ندهید. فیلم کمدی هزاپا پرفروش ترین فیلم تاریخ سینمایی ایران شناخته شده است .